Our academy is rapidly growing and we’re excited to offer this special comprehensive training for future instructors! 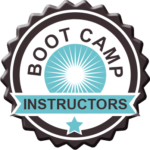 This course is one of the requirements for anyone wanting to become an instructor with the Wellness Life Zone Foot Zone Academy. How to teach all the core curriculum, while incorporating the instructors’ other gifts, knowledge and talents.